Alice & Jim's boating adventures …at sea and in port. We had some really nice days in Anacortes before the fog set in, and on one of those days, we hiked to the top of Cap Sante. What wonderful views! This photo shows a boat on its way through the breakwater and entering Cap Sante Marina. 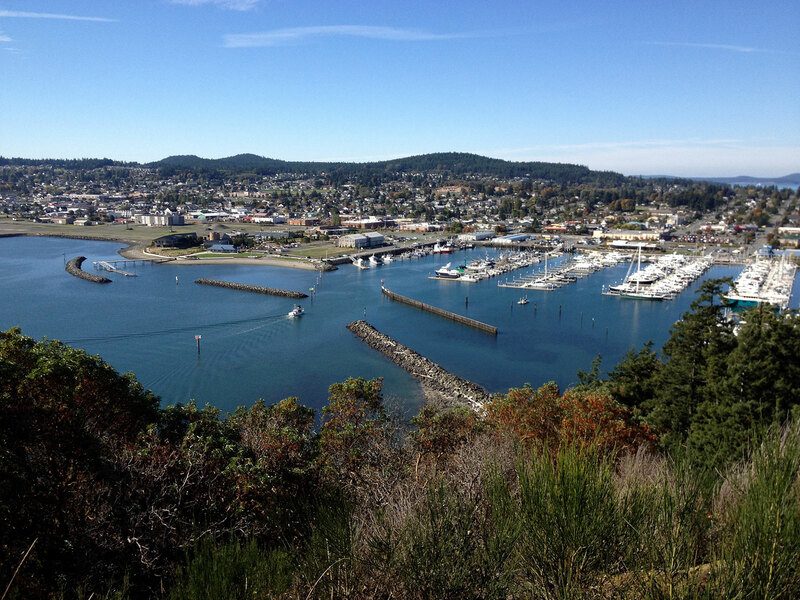 The downtown area of Anacortes and surrounding residential areas are in the background. We wrapped up our boating activities last week and have returned to Bend. 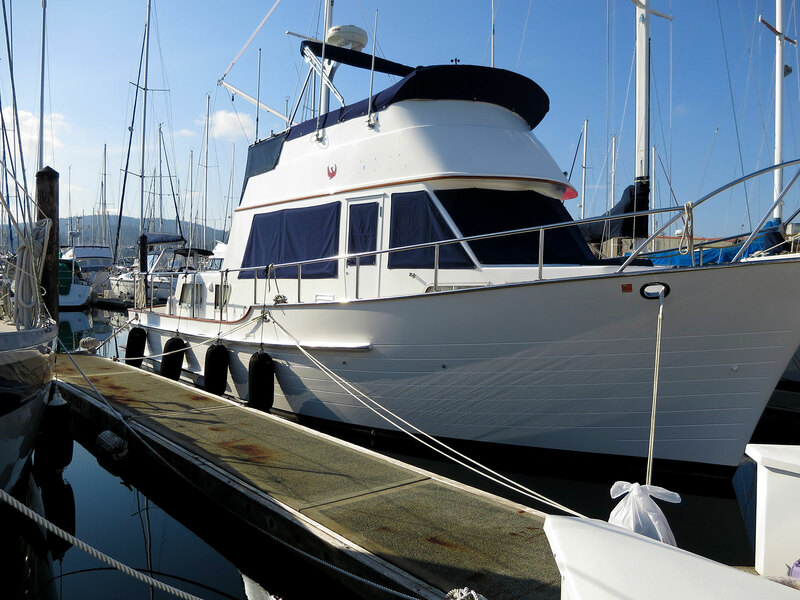 We spent a little over a month in Anacortes working on boat maintenance and projects. We had hoped to be able to get the boat out to the islands for some late season cruising, but working on our projects took most of the time we had available to be away from home…plus we had about 10 days of really miserable weather and we had to take advantage of the good weather days to get our work done. Just as we left Anacortes Marina, we took one last check of Phoenix. Ready for our absence, she has the canvas window covers on for protection, and the dock lines have been doubled up to help her ride through winter storms. You’ll notice that the name boards are missing—we remove them in the winter and keep them in our storeroom to protect the varnish. The starboard stern of Phoenix takes the brunt of the stormy SE winds in the winter. Notice that we have the stern triple tied. This past week we walked down to Cap Sante Marina and explored Rotary Park and Cap Sante Park. We found a trail that took us to the top of Cap Sante where we enjoyed some magnificent views! Most days, we also continued our walks along the Tommy Thompson Trail, and enjoyed watching the fall colors emerge on the trees along the way. And we had one last dinner at Brown Lantern. 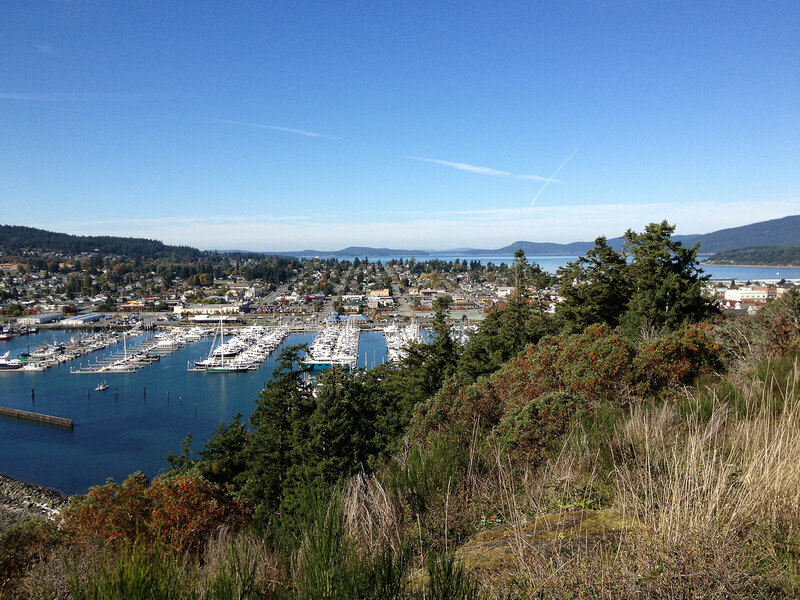 This view looking west from the top of Cap Sante shows Cap Sante Marina and Anacortes. We were high enough to see Rosario Strait and the San Juans Islands above Anacortes, and a portion of Guemes Island on the right. 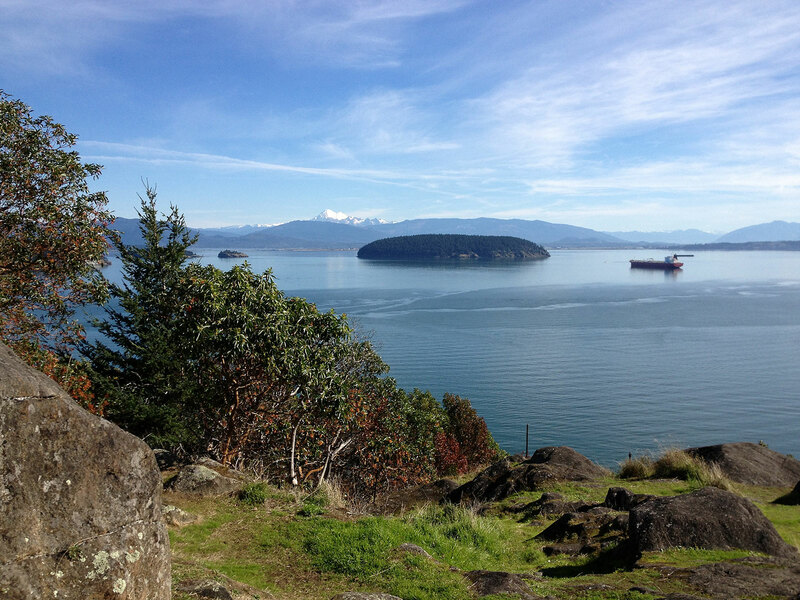 From the top of Cap Sante looking north across Guemes Channel and Fidalgo Bay. Mt. Baker is in the background. On one of our last walks on the Tommy Thompson Trail, we were treated to the first vibrant fall colors. These trees cast wonderful reflections on the water. 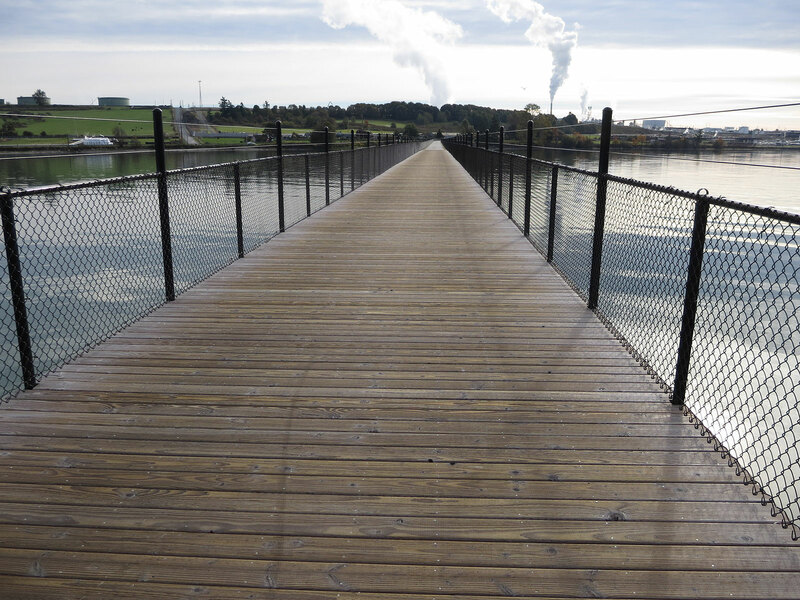 On one of our last walks, we had the trestle portion of the Tommy Thompson Trail all to ourselves. This is looking south, and the Anacortes refinery is on the land in the distance. We got in one last dinner at the Brown Lantern before we left Anacortes. 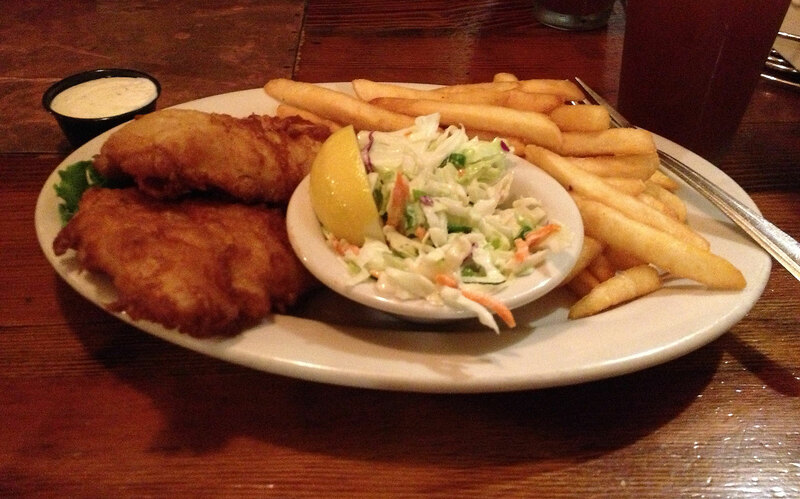 Here’s a photo of the fish and chips that I had. 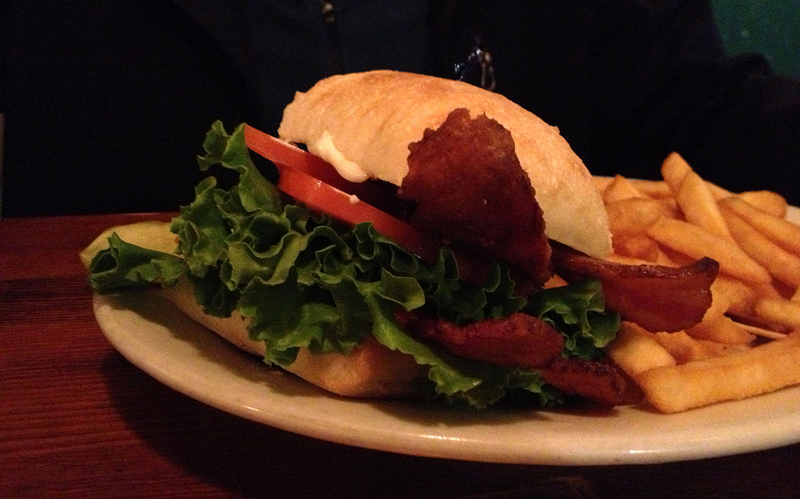 At the Brown Lantern, Jim had the BLT. Fall in the Pacific Northwest is our favorite time of year, and we were happy that the weather improved the last week we were in Anacortes…and happy that we’re back in Bend with nice fall weather as well. As it turns out, the fog in Anacortes got increasingly thicker and more persistent after we left. However, the weather in Central Oregon has been delightful…sunny with temps in the high 60s and low 70s—perfect fall weather. We had an easy drive home. Didn’t think that would be the case, however. Our early morning Internet check of driving conditions that morning turned up a construction delay on I-90 near Ellensburg that indicated we would have about an hour delay. Wow, that would make our 8-9 hour drive about 9-10 hours! There also was a Seahawks game in Seattle that started in the early afternoon, so we had crossed off going down I-5. But, after thinking about the longer drive if we went through Yakima versus the shorter drive south on I-5 and then on U.S. 26 over Mt. Hood, we changed our minds and decided to take the I-5 route. It took us a while to get organized for the drive in the morning, and we didn’t leave Anacortes until almost noon. So, the Seahawks game had already started and we missed any traffic congestion due to the football game, plus the express lanes were open (left-over from the earlier expected football traffic), so we breezed through Seattle. The fog had lifted by the time we left, and the weather continued to be sunny with calm wind all the way. Traffic was light too. We ended up with a 7-hour trip—one of the shortest we’ve ever made! 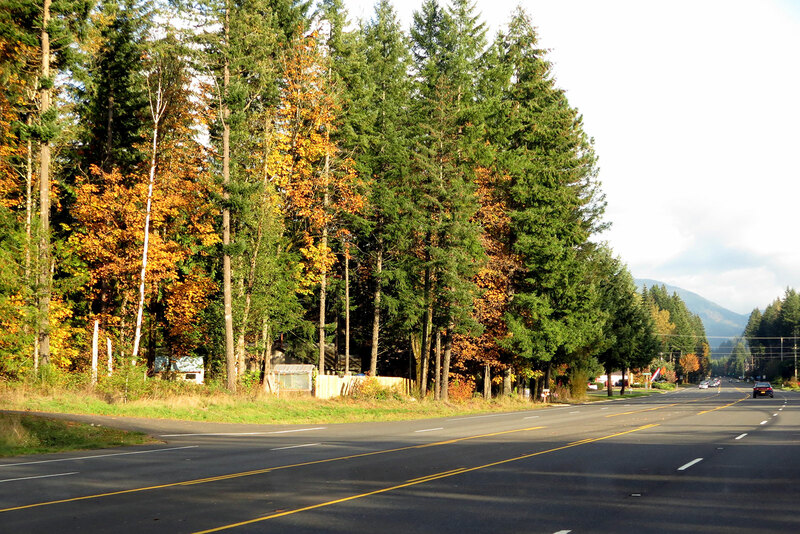 We saw quite a bit of fall color in the trees as we drove home over U.S. 26. This view was around the Welches area. Our kitties are great car travelers. We’re so lucky! Mickey likes to sleep on the console between the two front seats. 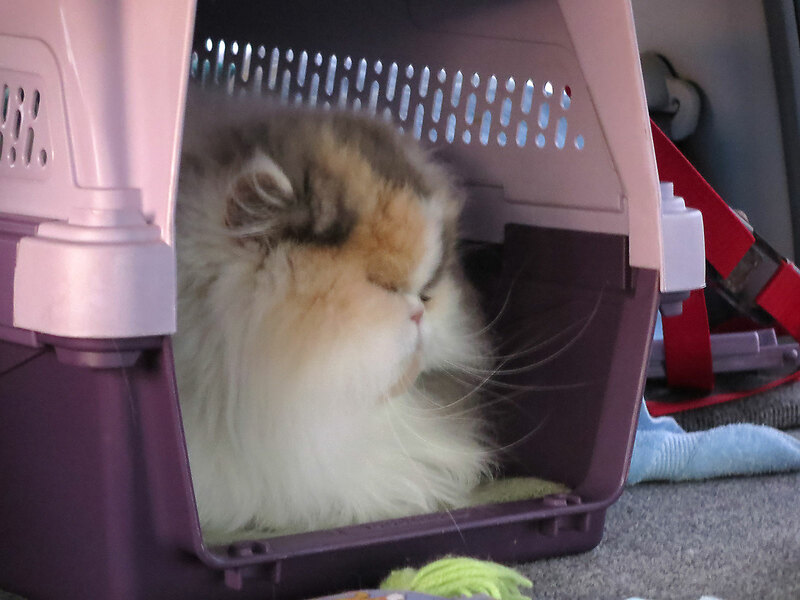 Rosie likes to curl up in one of the cat carriers that we leave open for them. We got back to Bend just as the sun was setting. 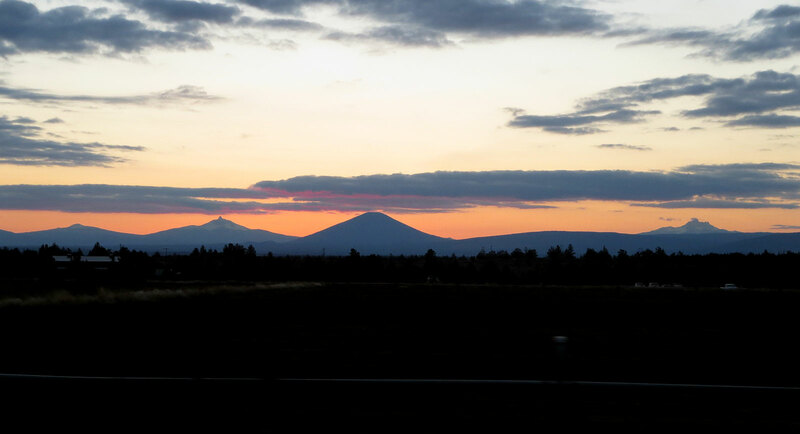 Got a quick shot of the afterglow above the Cascade Mountains to the west of Bend. Now that we’re back in Bend, we’re getting plugged back in to life here and catching up with things in our house. 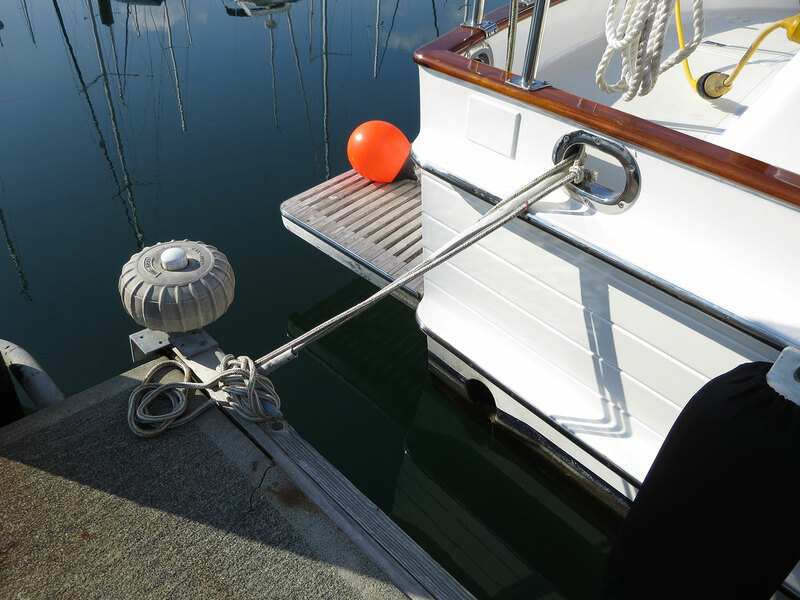 We will be planning a trip back to Anacortes in a couple of months to run systems and check everything on the boat. This entry was posted in Food, Kitties, Life Aboard, Travel, Weather and tagged anacortes, Bend Oregon, Brown Lantern, cap sante marina, Cap Sante Park, Cental Oregon, Rotary Park, Tommy Thompson Trail by Sailor Lady. Bookmark the permalink. Oh, what beauty, those trees! We don’t get color here like that. The eagle photos are great and think you should do a book about your adventures. Please keep them coming. Your boat is very handsome. 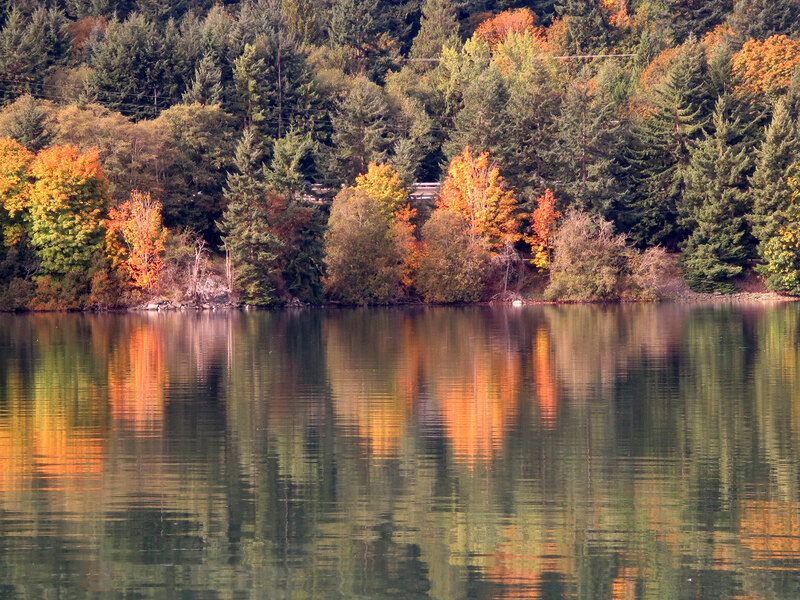 I love fall in the Pacific Northwest. As the leaves change, the colors are so invigorating! The fall color here in Bend is even more striking. Since we’ve been back, I’ve had a chance to take a few photos and will get those posted here in a little bit. Thanks so much for your kudos on my photos and stories. Perhaps a book? Love your feedback, as always! HI Alice, Thanks so much for your amazing photos. You really had a great time, despite some of the bad weather. 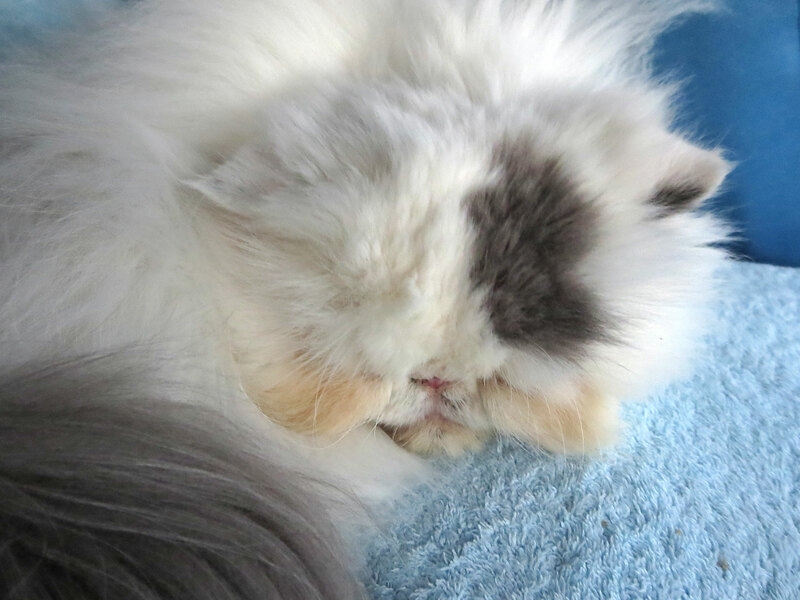 Thanks for sharing the care-taking of your boat, your walk up on Can Sante Park, and photos of your kitties. It makes for a vicarious experience for us. It’s always a great time whenever we’re on the boat! The weather just gives us additional challenges sometimes. Glad you’re enjoying my photos and stories. Nice to have you along!